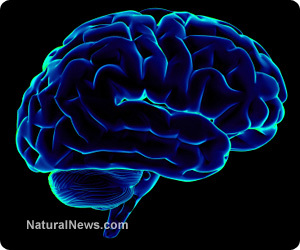 (NaturalNews) Over the past 50 to 100 years, the incidence of new Alzheimer's disease cases have remained relatively low, partly due to poor diagnostic techniques, but to a much larger extent, because the root dietary and lifestyle practices that precipitate this devastating illness were minimized or non-existent. Food processing methods, exposure to household chemicals and environmental toxins and lack of physical activity have all contributed to an explosion in the number of people with early stages of Alzheimer's dementia as well as those suffering from more advanced forms of the disease. Research scientists from the University of Rochester Medical Center in New York have published the results of a study in the Proceedings of the National Academy of Sciences journal that provides evidence to explain how a common metal we are all exposed to may help to promote development and progression of the illness. The team found that copper entering the body at levels encountered in the average modern diet may be leading to Alzheimer's disease by reducing the body's ability to clear away toxic proteins in the brain and also by encouraging the clumping of those proteins. Copper is found in red meat, vegetables, nuts and seeds and dairy products as well as pipes that carry drinking water in much of the developed world. Using a mouse model, scientists looked at how copper in the capillaries may cause a breakdown in the blood-brain barrier, leading to a buildup of the protein, amyloid beta, a type of plaque that is a hallmark of Alzheimer's. Testing on mice and human cells, the team determined that levels of copper delivered via drinking water accumulated in the capillary walls that feed blood to the brain. Researchers found that copper caused oxidation that prevents the normal clearance of amyloid beta protein tangles from the brain. Not only did copper appear to prevent the clearance of plaque that is believed to be a prime culprit in Alzheimer's disease, but it also stimulated neurons to produce more amyloid beta. The study authors indicated that copper provides a "one-two punch" that "provides strong evidence that copper is a key player in Alzheimer's disease." Additionally, they confirmed that the effects of copper are likely due to exposure over a long period of time. Copper is an essential metal that is necessary for skin and cellular structure and is especially important for optimal vascular health. Referring to copper intake, lead study author, Dr. Rashid Deane concluded, "Right now we cannot say what the right level will be, but diet may ultimately play an important role in regulating this process." Red meat is a major contributor of copper, and should be limited or eliminated from the diet. Cashews, soybeans and sesame and sunflower seeds also contain high levels of copper and should be eaten with caution to limit the risk of consuming excess dietary copper and lower the risk associated with developing Alzheimer's disease.